First mate Hugh has got the whole crew and the pirate ship ready, but they can't set sail until they find a captain! 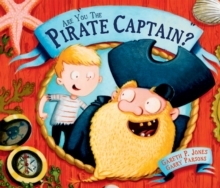 Come on this salty adventure as Hugh and his scurvy seadogs try to find the perfect pirate for the job. Rather than a peg leg or a hook, it turns out what their captain needs is the brains to lead!